C'mon! It's A Minneapolis Duplex! What If the Tenant Doesn't Pay the Heat? | Your best resource for buying, selling, owning and investing in duplexes and duplex homes. A relatively new landlord contacted me earlier in the week and asked some terrific questions. In an effort to have the other side of her unit occupied before the first mortgage payment came due, she rented to someone with less than perfect credit. Just five months into the lease, the tenant was already late on one month’s rent. While the gas, phone and electric are in her tenants names, she’s certain they are also behind in some of these bills. While the tenant has stable employment and worked with her to make amends on the late rent, he’s uncertain how he should approach the potential utility delinquencies. A friend suggested he contact the utility companies to check whether the bills have been paid on time. What, if anything, can she do? The answer is, not a lot. Maybe. According to Xcel Energy, provided it’s delineated in the lease that the tenant is responsible for the utilities, the landlord is absolved from any obligation to pay these bills. Of all the utilities involved in living in a property, it is only the water bill that follows the property. The rest follow the person whose name they were in. What’s more, sharing the current status of payments with an unrelated third party is a violation of most utility companies privacy policies. There is, of course, an exception. If the lease contains a clause stating falling behind in utility payments is a violation, the tenant and property owner may mutually sign a third party notification letter. This letter is then sent to the respective utility companies. In the event the tenant falls behind, it is mailed to the landlord at his service address. If the letter is not pre-signed by both parties, it cannot be sent. It is important to note that the standard lease available through the Minnesota Multi-Housing Association does not contain a third party notification clause. It may be worth a short appointment with an attorney to have it and a notification letter drafted. So what if there’s no letter, it’s the middle of January, and the tenant is so far behind the heat is shut off? 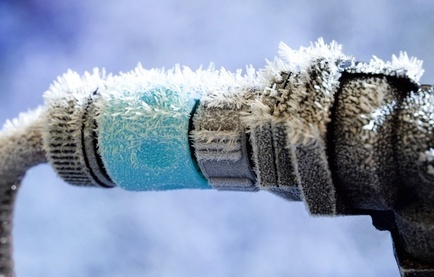 Won’t the pipes freeze and burst, causing thousands of dollars in damage? Not to worry. In Minnesota, which is a cold weather state, if the tenant has filed for the cold weather rule, Xcel will not disconnect any electricity involved in a heating system between October 15 and April 15. The same holds true for Centerpoint; again, provided the tenant has applied for the cold weather rule exception. If they have not, Centerpoint will disconnect the gas, but during the winter months will notify the landlord of such with or without a third party notification letter. In the summer months, however, it’s important to note that Centerpoint does require a third party notification letter.